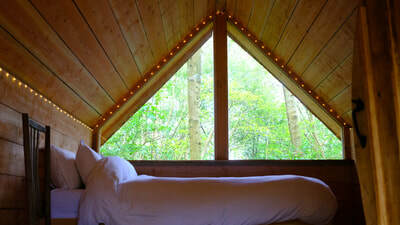 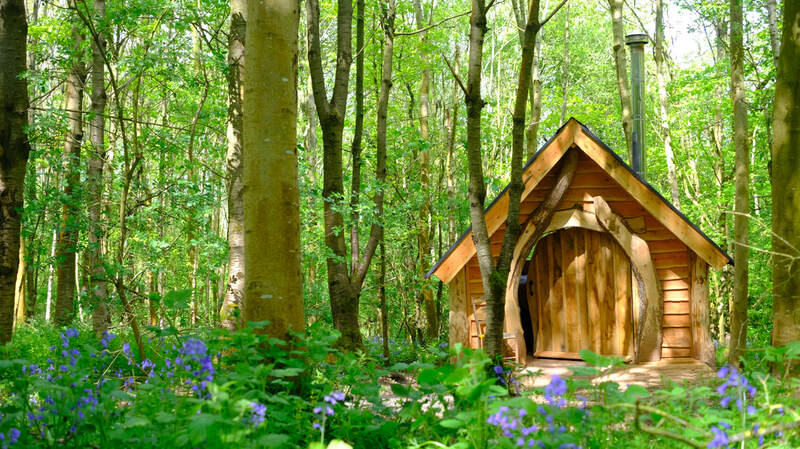 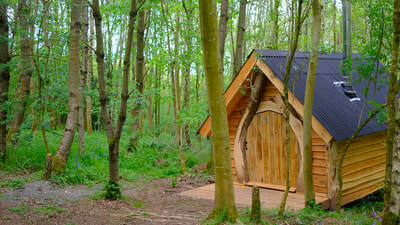 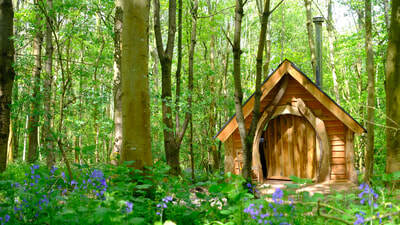 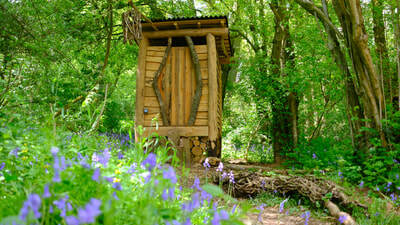 The Hobbit house is a wood cabin giving you a little bit of Hobbiton in the Shire (Herefordshire, that is). 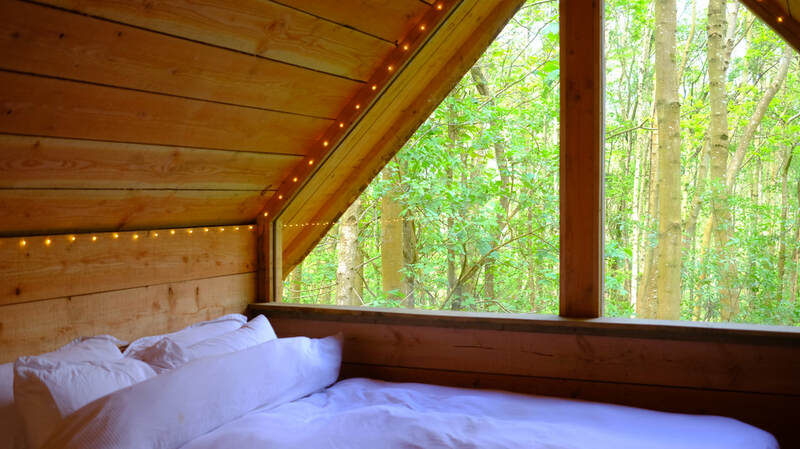 This sweet cabin features a king size bed, feather duvets and pillows, a wood burner, fairy lights and a sitting area around a private fire pit. 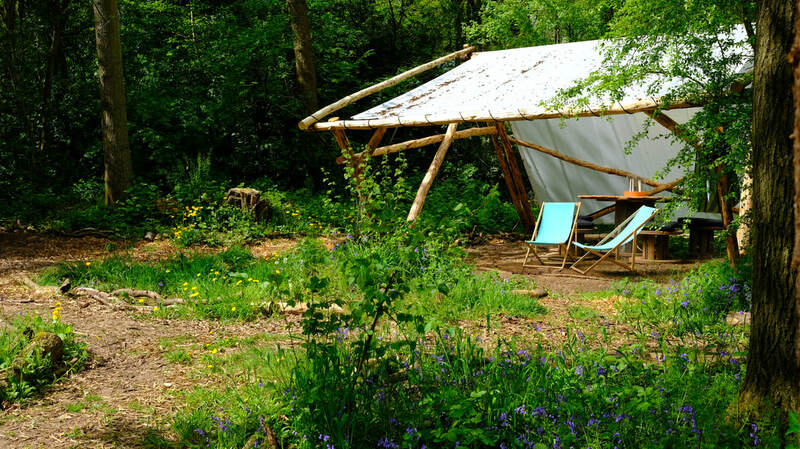 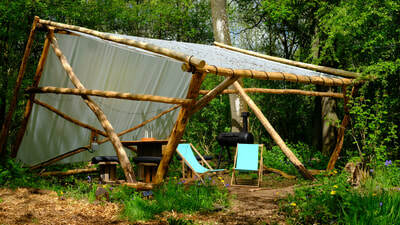 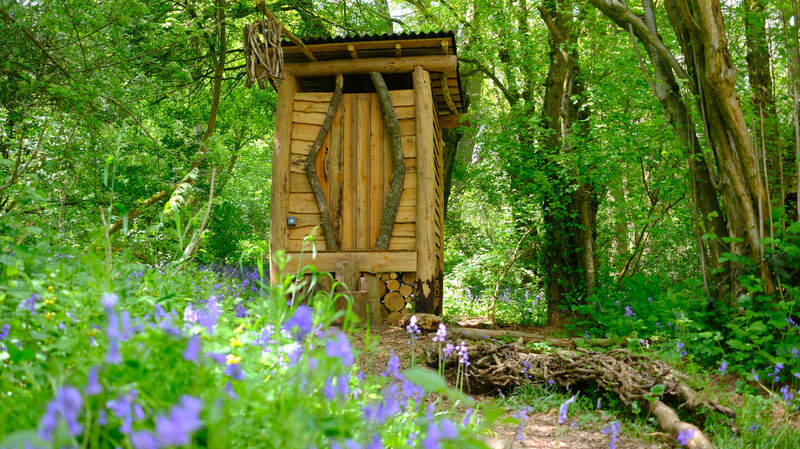 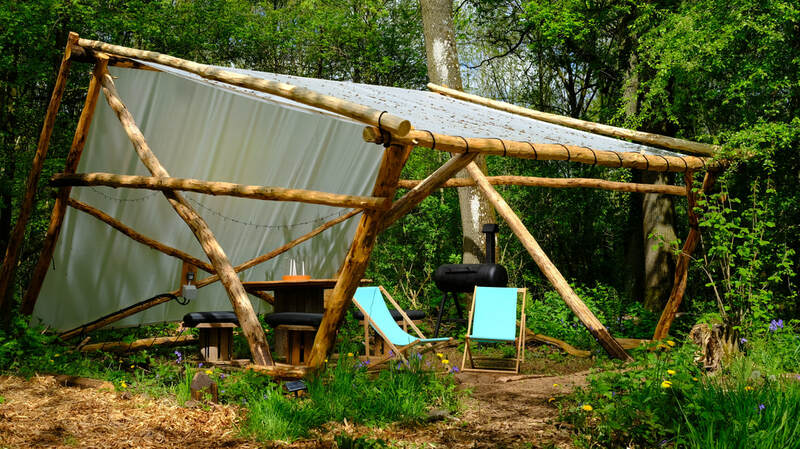 The Hobbit house sleeps two people and makes use of the compost toilet, outdoor shower and use of the kitchen and living area in the Wilding camp, shared only with Goji. 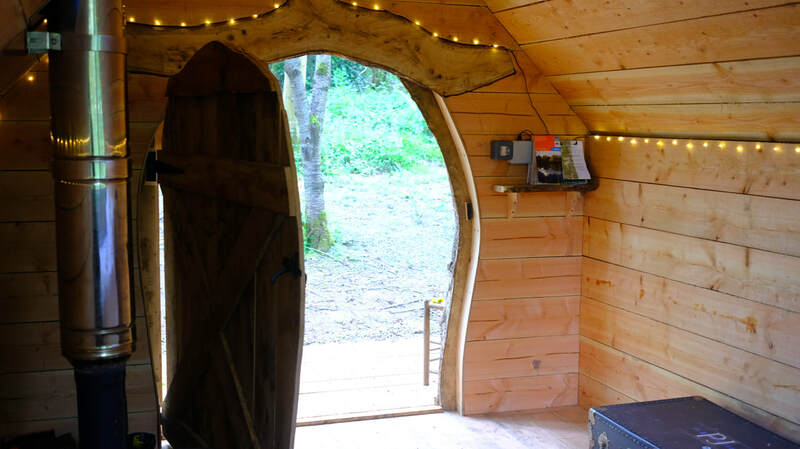 The kitchen has a fridge with freezer compartment, 4 gas hobs, BBQ, wood fired pizza oven, all the pots, pans, plates and cutlery you'll need to cook up a storm. 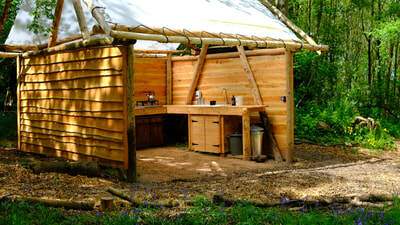 We provide tea, coffee, milk, oil, sugar salt and pepper along with a selection of spices and herbs.